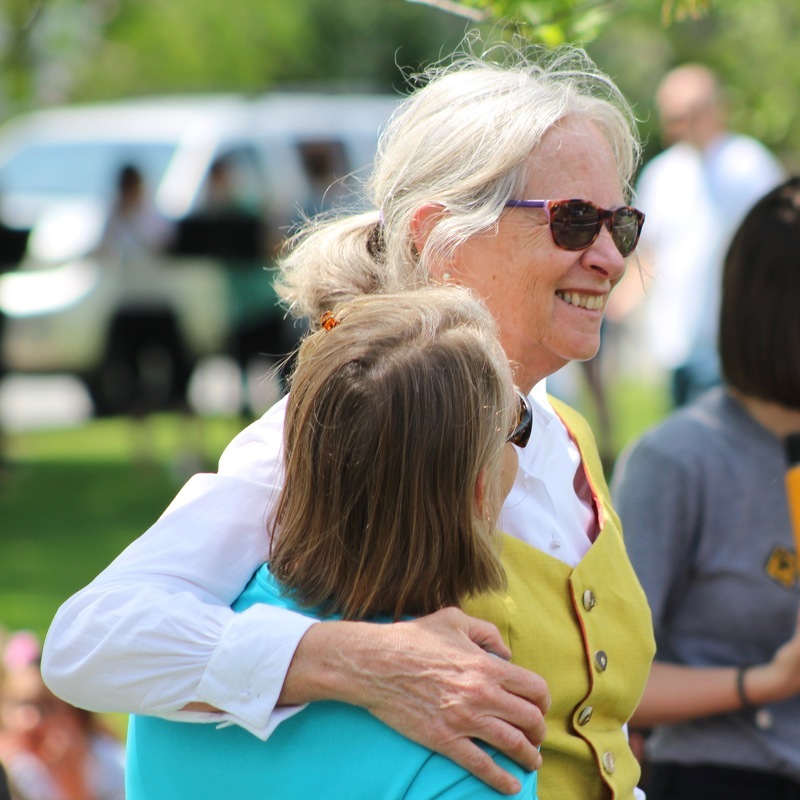 The Lyme School recently had its 28th annual Celebration of Spring on the Lyme Common. 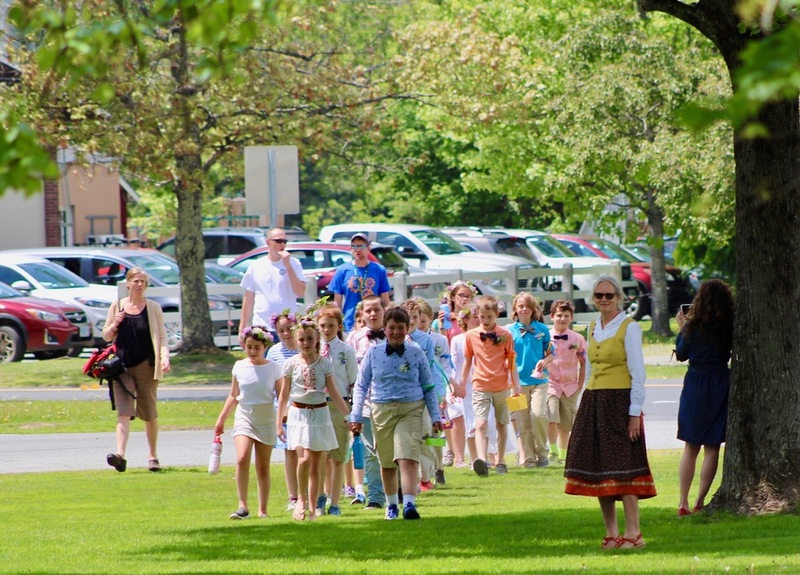 The program included the Lyme School band, the first, second, and third grades singing songs of sunshine and spring and the fourth grade treated the guests to a traditional English Morris Dance. The celebration was the result of creativity, cooperation, and community support. The fourth grade children wore hand sewn costumes they made with the help of parents and Ms. Girdwood. Dorothy Wallace volunteered her time to teach the children the Morris dance. During the performance, Mrs. Wallace played the accordion while her husband delighted the audience in a dragon costume. As has been the tradition, the children delivered May baskets to community members in the audience while Nancy Wilson played flute. The celebration ended with the tradition of fifth graders weaving the maypole. Mrs. Skelly originally created the maypole event to promote cooperation and respect in her fifth grade guidance classes and it has been part of the Lyme School for 28 years! The 5th graders dress in festive attire with flower garlands and boutonnieres. Many of the boys even wore bow ties! Mrs. Skelly surprised us with a gift of new, brightly colored ribbons for the maypole. The weave with the new ribbons was spectacular. The week after the celebration Lyme students received a handwritten thank you note from a community member. It read, "I was thrilled to witness how teachers, staff, and students worked hard together to create such a beautiful program of instrumental music, song, and dance. It was a privilege to watch how students at Lyme School are experiencing both the joy and self-discipline needed to achieve excellence."